As I mentioned yesterday, the NHLPA has been been backed into a corner. This is almost a shotgun wedding scenario for the players. If they turn down this latest 50-50 proposal down, the fans will spew their VENOM at them. However, it looks like Donald Fehr is not going to agree to something that is going to HURT the union. And that is what he should do. 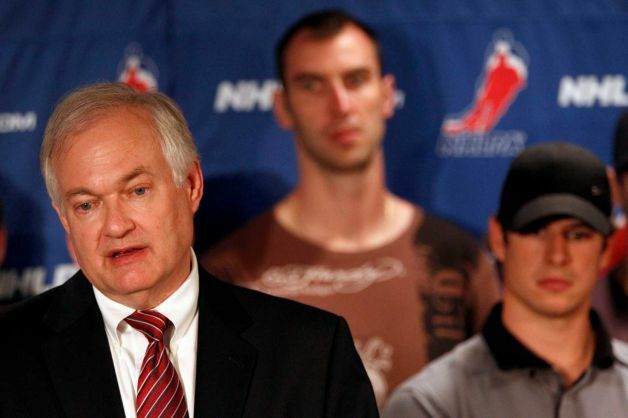 #NHLPA Fehr told players yest’day ” I advise you not to take #NHL deal” Interesting where he goes from here. Now the hired gun goes to work. The NHL is trying to spin the blame on the NHLPA after this so called proposal of “equal sacrifice” and “good faith”. There is nothing GOOD to have FAITH in with the NHL owners & “GREEDY GARY”. They are just “SPIN DOCTORS”. Fans get ready to dig in…this is going to be awhile.